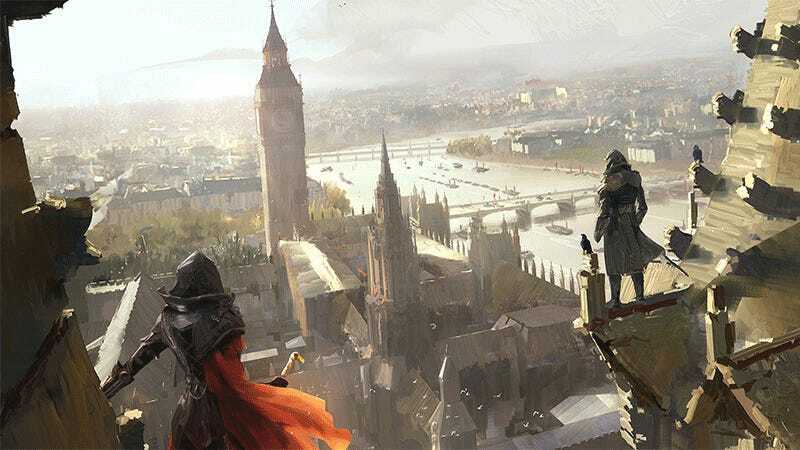 Assassin’s Creed Syndicate is, as Assassin’s Creed games usually are, very pretty. Which is the result of a massive team of artists from all over the world working on the game. Below you’ll find a selection of some of the best of it, in a gallery comprising of over 60 images. It’s not reflecting the work of everyone who contributed to the game’s art—sorry, we don’t have the space for that!—but it’s more than enough to give you a good overview of the amount of art required for a game of this scale, from mood paintings to 3D models to promotional images.